Having taken the UK by storm since arriving at the start of this year, with over 4,000 orders to date already, the award-winning smart-buy SUV now looks even meaner for the price. The Dacia Duster Ambiance dCi 110 4x2 Black Edition is loaded with extras, including a striking brushed black vinyl wrap finish, luxurious ash leather interior, hi-tech Kenwood media system and stylish 18” alloy wheels. The media system includes a 6” high resolution screen, Garmin satellite navigation with TMC traffic information, DAB, Bluetooth with hands-free calling, ipod connectivity, DVD playback and rear USB connection. With an on-the-road price of just £17,575, the Romanian SUV continues to blow the competition away when it comes to value for money. The Black Edition was a one-off creation released to celebrate the historic Goodwood Festival of Speed – the largest car culture event in the world held in July. Overwhelming interest at the event has resulted in the car now being available to be ordered by UK customers with first deliveries from October. 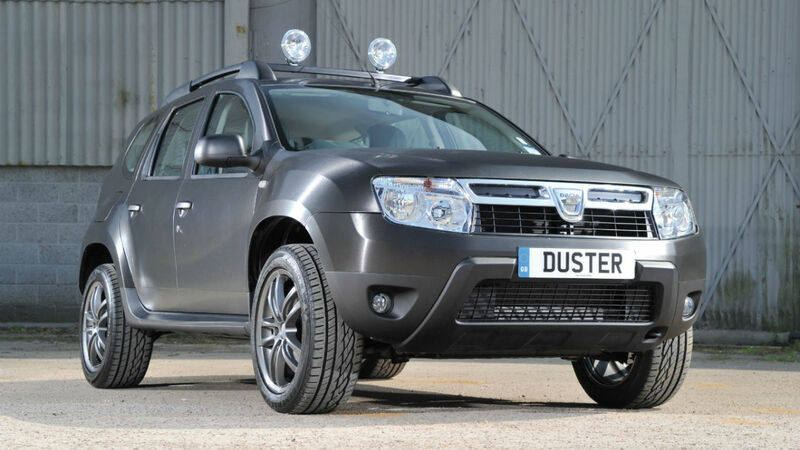 Already the nation’s “most affordable SUV” by a mile, Dacia Duster is also winning over more fans after being hailed one of its least depreciating new cars. 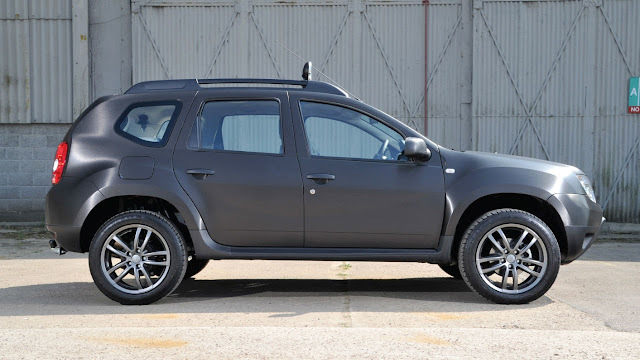 Dacia, a subsidiary of the French carmaker Renault, has made an enemy of the unnecessary and makes a simple range of cleverly designed, high quality vehicles which unashamedly favour function over frivolity. 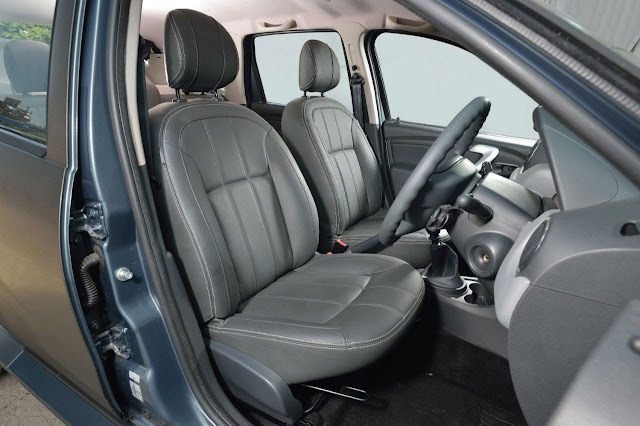 Its jaw-dropping prices are clear and straightforward, whether you buy online at the Dacia Store on www.dacia.co.uk or through its nationwide retailer network. 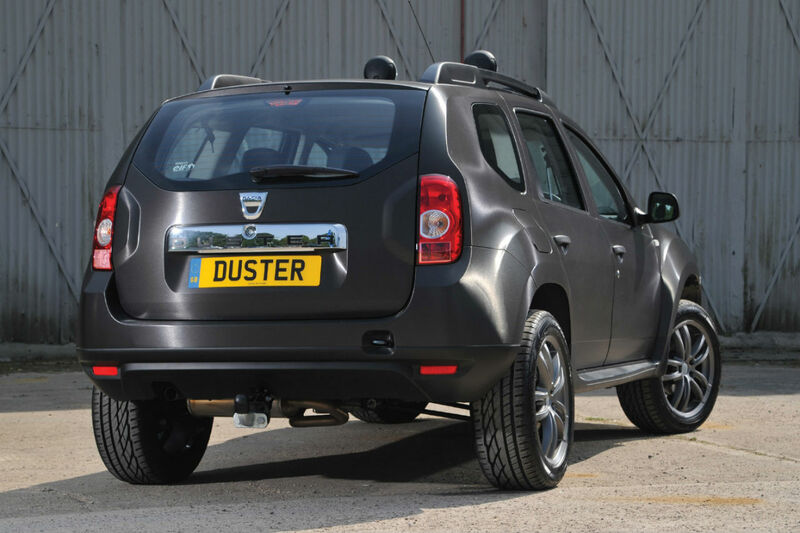 Dacia only launched officially in the UK in January 2013, but has already cleaned up nine major awards, including a hat-trick of trophies at the carbuyer.co.uk 2013 awards, including Car of Year and 4x4 of the Year, plus Scottish Car of the Year for Duster, and Best Supermini under £12,000 for Sandero with What Car?.